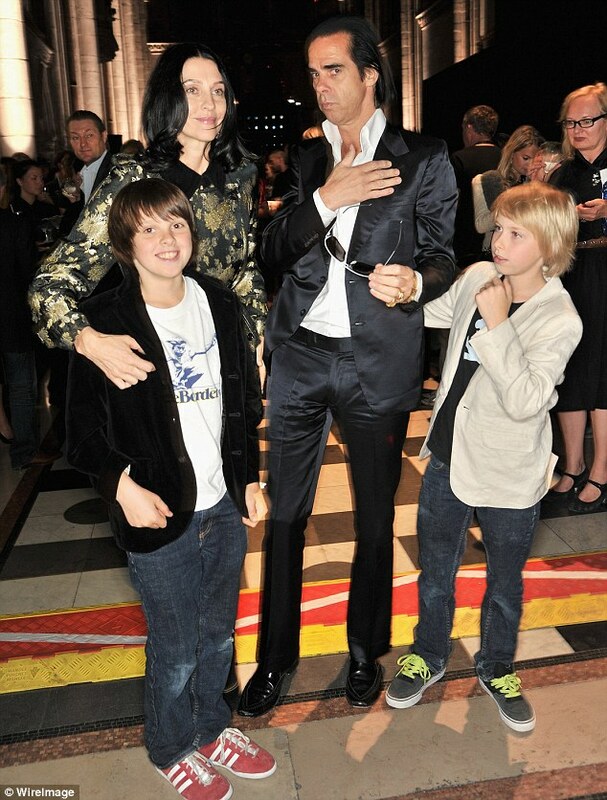 Singer Nick Cave and his wife Susie today visited the Sussex cliff where their 15-year-old son fell 60ft to his death in what is believed to be a tragic accident. Arthur Cave was found on a coastal path at the foot of Ovingdean Gap in Brighton, East Sussex, at 6pm last night. 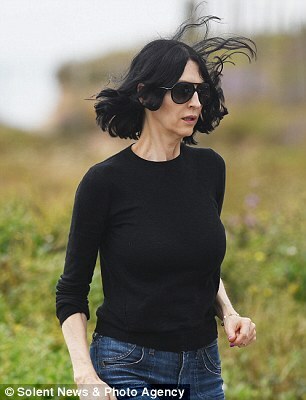 His Australian rock star father this afternoon went to the cliff with model wife Susie Blick to remember their 'beautiful, happy and loving boy'. Flowers were left where Arthur fell, including one bouquet with a note from his twin brother Earl. It said: 'Arthur - I love you so much. You were a joy to be around and I will never forget you. You were the best brother I could ever ask for'. Arthur, who his father said was a keen drummer, may have died in a tragic accident not a suicide, police sources said, but it is not yet known how he fell. Mr Cave, 57, and Arthur's mother Susie, who live with their family in Brighton, said in a statement: 'Our son Arthur died on Tuesday evening. He was our beautiful, happy loving boy. This afternoon Mr Cave accompanied his wife Susie and their other son Earl to the cliff. The singer stayed close to his car, briefly acknowledging Arthur's friends who left flowers and letters in his son's memory. Meanwhile his wife Susie, who was driving, and their twin son Earl walked to where the flowers were left, studying the messages for a couple of minutes. Arthur's best friend Ed Bucknall was today among a group who laid flowers at the top of the cliff. 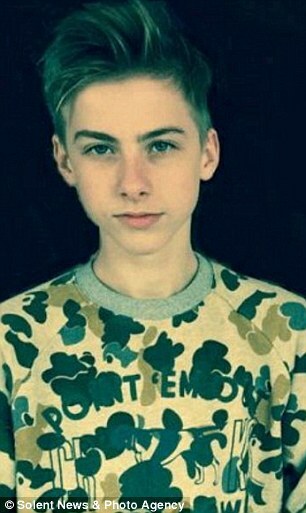 He said the 15-year-old was a keen skateboarder who was 'genuinely lovely and funny'. He said: 'He was my best friend. I saw him every day and I can't believe what's happened. I was with him in the morning, he was round mine. 'He was one of the nicest guys you could meet, he was so funny and just so much fun. He never said a bad word about anyone. 'He loved skating, we always used to skate together. And now we can't. I'm devastated, I can't even explain it - I'm just broken. I've been distraught ever since I heard. I was with his brother Earl when I heard and I went and saw their dad. Ed also said that he and Arthur had just finished year 10 at the private St Bede's School in Hailsham, East Sussex. According to a review on the school's website, Arthur played Borachio in a production of William Shakespeare's play Much Ado About Nothing, alongside his twin who played the part of Claudio. A spokesman for St. Bede's School said they were not ready to release a statement out of respect for Arthur's family. Laying flowers with Ed was his and Arthur's friend, Amelia Parsons, 15, who said she was 'shocked' by his death. Amelia, from Brighton, East Sussex, said: 'I don't know how this could have happened, he was a really, really great guy. 'He loved his skating, he was always smiling and always happy to be around. He was always up for a laugh and having fun. 'He loved his friends and family, he was a caring guy and I've been distraught since it happened. Ed called me up and told me. I'm completely broken. The 14-year-old from Saltdean, East Sussex, said: 'I got the bus in with him every day, we always used to chat. We used to talk about skating a lot. Arthur died just 10 miles from where a group of students were seen dangling over a 300ft high cliff on Saturday. At 6pm yesterday emergency services rushed to treat the 15-year-old, who was found on the beach below with life-threatening injuries. An air ambulance rushed him to hospital in Brighton after walkers tried to revive him, but he could not be saved. The multi-agency operation saw police, the coastguard, the fire and rescue service and the air ambulance rush to the foot of the chalk cliffs following reports of a boy falling to the very bottom of the cliff. His body was discovered on Undercliff Walk - a coastal path some 60ft below the top of the cliff ledge. 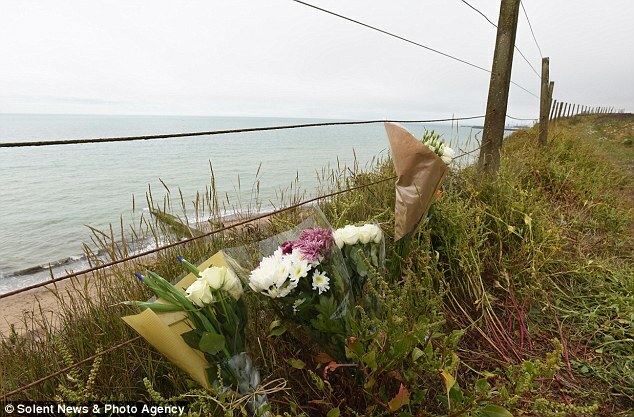 A Sussex Police spokeswoman said: 'A 15-year-old boy who was found with life threatening injuries on the underpass of Ovingdean Gap, having fallen from the cliff above, has sadly died in hospital on Tuesday. 'Members of the public carried out first aid on the boy before he was taken to the Royal Sussex County Hospital, Brighton, just after 6pm. He later died there of his injuries. 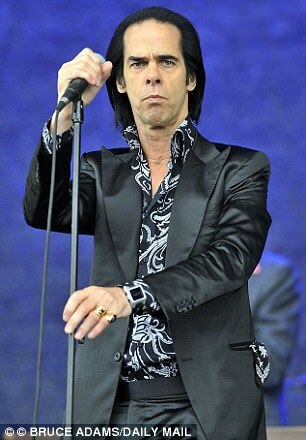 The dark, tragic edge to Nick Cave's music has led to him being known as rock's 'Prince of Darkness'. Born in Australia before moving to Britain in 1980, his music is known to have been influenced by tragedy in his early life, when at 19 his father was killed in a car crash. Some experts have said that his dark outlook may have sprung from, and is still inspired by this tragedy more than 30 years ago. He found it difficult to talk about his father's death and said himself: 'His death occurred at a point in my life when I was most confused. The loss created a vacuum, a space in which my words began to float and collect and find their peace'. The father of four has twins in 2000 has two older sons from a previous relationship and has spoken widely about his love for his children. He and his wife Susie had proudly taken Arthur and Earl to several high profile events and the brothers appeared at the end of 20,000 Days on Earth, a film documenting a fictitious 24 hour period in the singer's life. Ms Bick said of her husband in a previous interview: 'He's just adorable. He's just the warmest person, he's got the biggest heart. His music often touches on death, religion, love and violence and he was once described as 'the grand lord of gothic lushness'. Nick has composed scores for a number of films, including The Proposition in 2005, The Association of Jesse James by the Coward Robert Ford (2007) and The Road (2009). He co-wrote 20,000 Days on Earth, a semi fictional day in the life documentary. 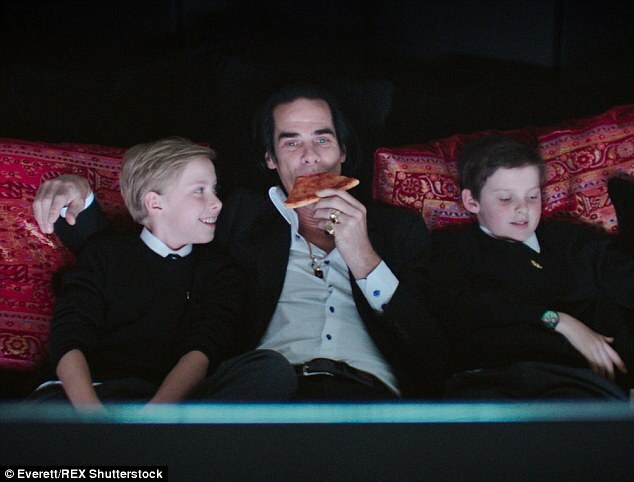 Mr Cave is most famous for his work with his band the Bad Seeds, formed in Melbourne in 1983. Previously he was in cult band the Birthday Party. But his biggest hit was a duet with Kylie Minogue - Where The Wild Roses Grow. 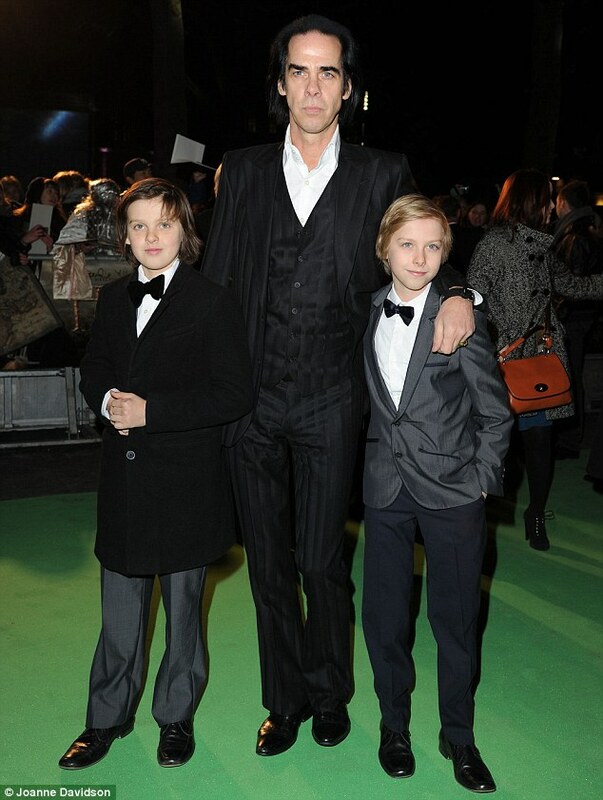 The pair are still friends and appeared together in his 20,000 Days on Earth film, pictured below. Cave performed 'Into My Arms' at the televised funeral of INXS star Michale Hutchence, but insisted the cameras stopped rolling during his performance. Cave is the godfather of his friend's daughter by late Paula, Heavenly Hiraani Tiger Lily now aged 19 years. Meanwhile, tourism workers said last night that a group of teenagers spotted sitting precariously on the edge of a 300ft drop are believed to have been foreign language students. 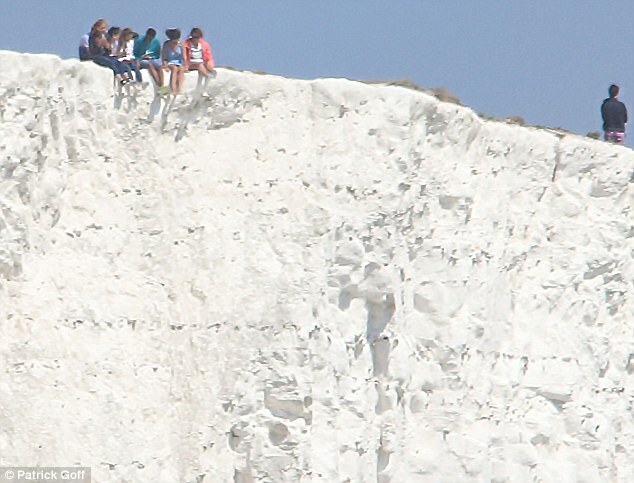 Photographs published yesterday showed several youngsters dangling their legs over the side of the crumbling chalk cliff face while others came perilously close to the sheer drop as they peered over. The youngsters were pictured on Saturday on Haven Brow, the first of the Seven Sisters cliffs near Seaford in East Sussex - a spot that loses about 2ft of chalk a year as it drops into the sea. 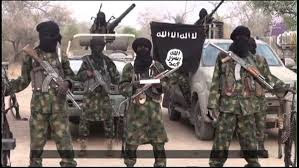 And yesterday, staff at the Seven Sisters Visitor Centre, which advises on walks and paths to visit the coastline attraction, said they believed the youngsters were likely to be foreign language students. Speculating that they could have been visiting from nearby Brighton or Eastbourne, a volunteer said: 'Foreign students and visitors are less likely to be aware of the erosion issues of the Seven Sisters. 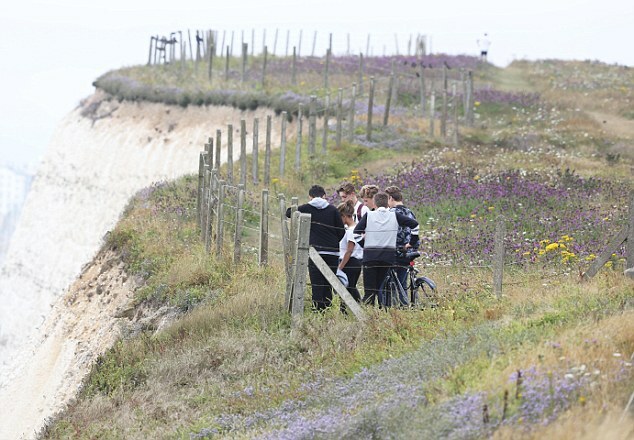 'Many of the other visitors are often school trips and I cannot imagine a supervising teacher allowing pupils to sit on the cliffs with the inherent danger. Last year a man was seen posing for a picture as he dangled his legs over a cliff along the same coast in nearby Beachy Head. And in March walkers were spotted sitting 150ft above the ground on the edge of a cliff at Seaford Head. 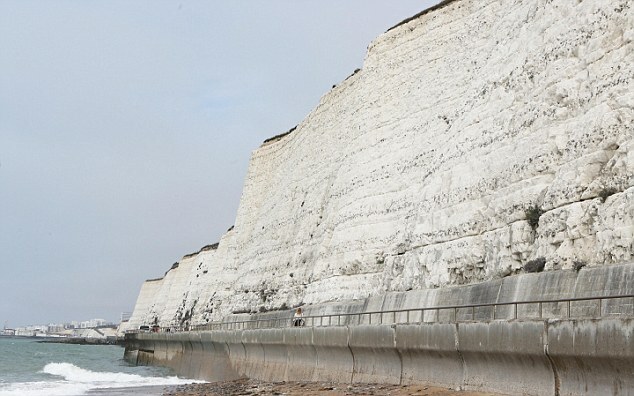 Parts of the cliffs at the Seven Sisters Country Park have been placed on an at-risk list by the Environment Agency, due to it eroding and collapsing into the sea - including a 21ft-wide stretch of cliff in 2013 at Birling Gap. 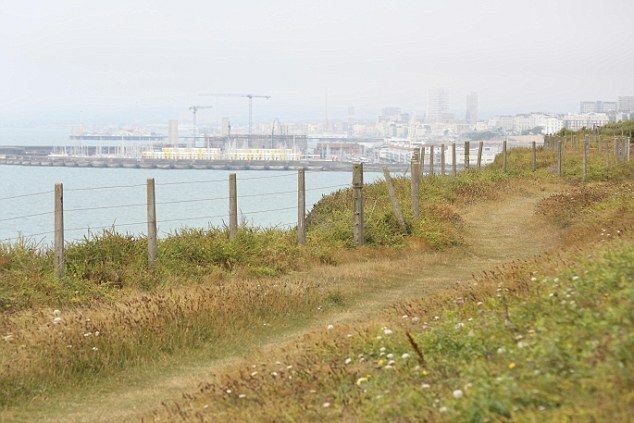 However, access to the cliff edge at the Ovingdean Gap is more restricted by fencing. A coastguard for HM Coastguard today said: 'I can confirm Newhaven Coastguard were called by Sussex Police to attend a report of a child who had fallen from the top of the cliff.